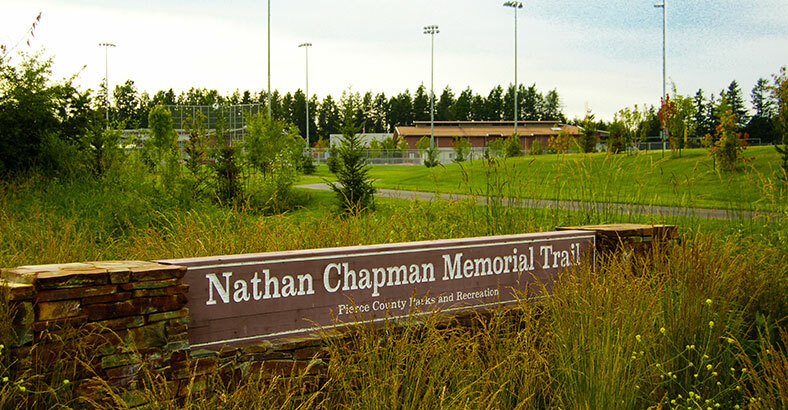 The Nathan Chapman Memorial Trail links Heritage Recreation Center and South Hill Park in Puyallup’s South Hill area. 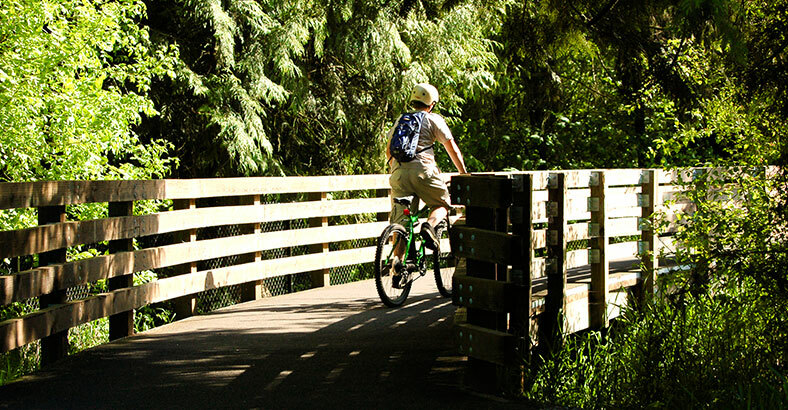 The trail provides the community access between the parks and Rogers High School and Zeiger Elementary School. 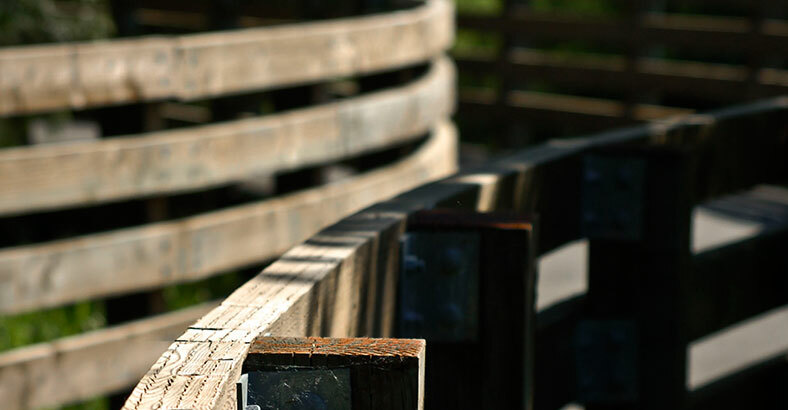 Along the way, the trail provides an opportunity for interpretation and observation of both natural and constructed wetlands, as well as a variety of forest vegetation. 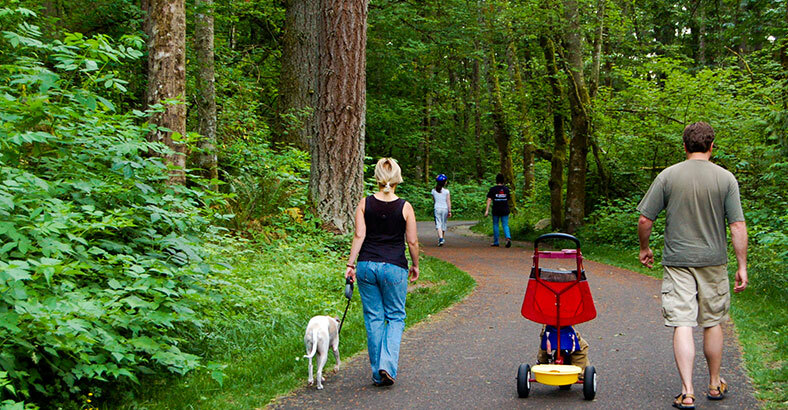 Development of the plan included sensitive negotiations with adjacent property owners to address their specific needs and concerns, as well as careful coordination with Pierce County permitting authorities. The trail alignment was field located to avoid wetland edges and to take advantage of unique vegetation and significant specimens. The trail cross sections were designed with consideration for the varying soil types with different cross sections developed to fit the varying conditions. 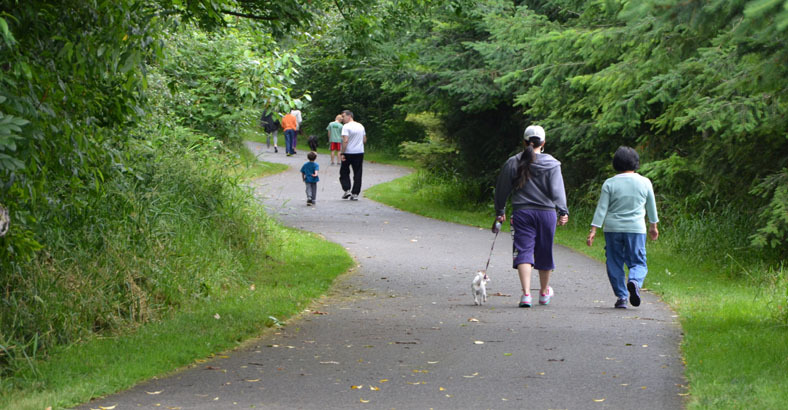 For segments of the trail on good soil, pervious asphalt was used for surfacing. As a result, water is infiltrated immediately, eliminating the need for stormwater infrastructure. For areas with poorer soil, ballast was added to stabilize and allow water to disperse. For areas crossing wetlands, elevated trail bridges on pinned foundations were employed to drastically reduce the footprint. These specialized foundations were placed using hand methods in order to avoid disturbance of the wetland while still providing a stable foundation for the bridges.